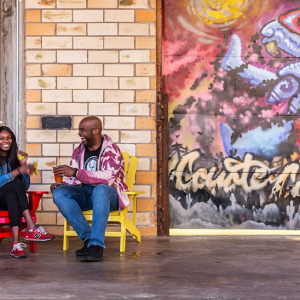 The opportunities to learn about Little Rock, soak in the scenery of The Natural State or simply just have fun with your travel companions are endless—the list of attractions below can prove it. Big Rock Fun Park offers indoor and outdoor fun. 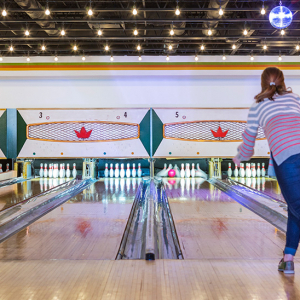 Choose from bumper boats, miniature golf, go-karts, batting cages and an arcade. No matter what time of year you visit, you’ll find plenty of activities your family can enjoy together. There are water parks and nature centers, local theaters and ice-skating rinks, trampoline parks and hiking trails, historical landmarks and children’s libraries. When the weather is right, the Little Rock Zoo is a popular choice, boasting cute baby animals for visitors to snap selfies with. The River Market beckons folks in from the heat during the summer to savor delicious and diverse fare in its Ottenhiemer Hall Food Court. Other fair weather fun can be had at the city’s only mini golf and go-kart park, Big Rock Fun Park. When it’s a bit colder or just a tad too hot, head inside the Hillary Rodham Clinton Children’s Library & Learning Center. This state-of-the-art center has a computer lab, teaching kitchen, 165-seat theater and community room — in addition to a collection of more than 21,000 books, CDs and DVDs. 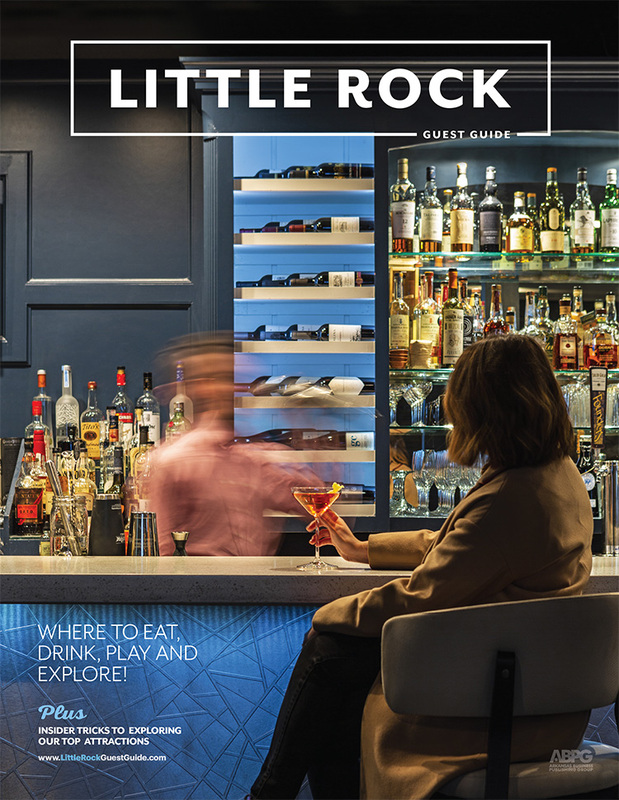 The opportunities to learn about Little Rock, soak in the scenery of The Natural State or simply have fun with your travel companions are endless—the list of attractions on the following pages can prove it. 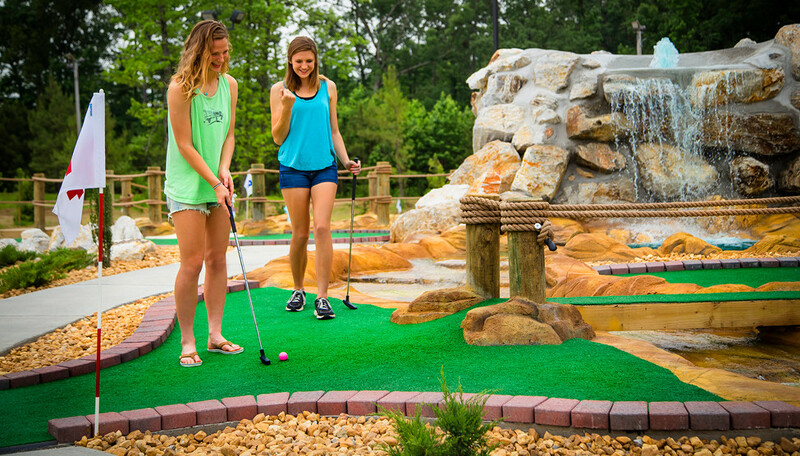 With 36 holes of miniature golf, go-karts, bumper boats and batting cages, we are the perfect place to enjoy the outdoors! We have an indoor arcade with our 30 games and prizes. Enjoy an afternoon with family or a night out with your date. Fun for all ages! New attractions in 2017 include High Ropes course and Giant Maze! Large party house for big groups. School year hours: 3-8 p.m. Monday-Thursday, noon-10 p.m. Friday, 10 a.m.-10 p.m. Saturday and noon-8 p.m. Sunday; summer hours: 10 a.m.-10 p.m. Monday-Saturday and noon-9 p.m. Sunday. Amusement park with rides for various ages and two party pavilions. Open 10 a.m.-7 p.m. Saturday, 1-6 p.m. Sunday and by appointment only Wednesday-Friday. Cool off during steamy summers at this sprawling water park, which includes slides, a wave pool, tube rides, a kids’ area, a lazy river and more. The summer season begins in May, check website for days and hours of operation. 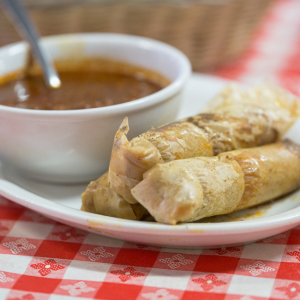 Get a firsthand look at the challenges surrounding hunger and poverty. Heifer Ranch in Perryville is a demonstration farm that offers day, overnight and multi-night experiential programs that inspire and educate. Take a tour, learn about the work that Heifer does, see the animals that are provided around the world, and visit the Global Village, a collection of international homes modeling many of the countries in which Heifer works. Visit Heifer.org/Ranch for current activities and hours. Visit barnyard animals at Heifer’s new urban farm! Located behind Heifer Village in downtown Little Rock, this barnyard features pigs, goats, alpacas, chickens and turkeys. The 3-acre area is also home to a community garden, beehives and butterfly garden. Heifer Village introduces visitors to the possibility of a world free of hunger and poverty. The farm features animals that the organization provides families through its projects. Heifer Village offers free on-site parking and is within walking distance of the Clinton Library and downtown attractions. Open 9 a.m.-5 p.m. Monday-Saturday. More than 700 animals representing more than 200 species call the Little Rock Zoo home - mammals, birds, reptiles, amphibians and fish. 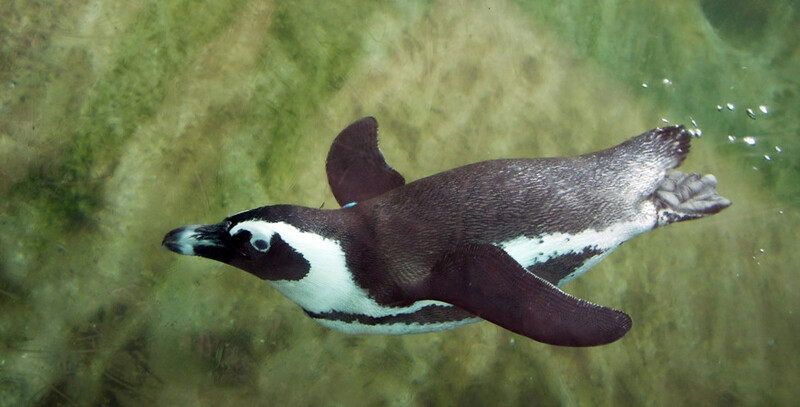 Families will especially enjoy the new Arkansas Heritage Farm and the Penguin Pointe exhibit. Admission is $12 for adults and $10 for children ages 1-12 and seniors. Winter Hours Oct. 1 through Feb. 28: 9 a.m.-4 p.m.; Summer Hours March 1 through Sept. 30: 9 a.m.-5 p.m. Open daily except Thanksgiving Day, Christmas Day, New Year’s Day and Razorback game days at War Memorial Stadium. Guests will discover an exhibit hall, aquariums, a gift shop, a theater and educational programs inside this 16,232-square-foot facility. Exhibits highlight the many recreation options that Arkansas’ fish and wildlife resources offer. Wildlife can be seen along the Arkansas River bank, which the center overlooks. Admission is free. Open 8:30 a.m.-4:30 p.m. Tuesday-Saturday and 1-5 p.m. Sunday. The Main Library of the Central Arkansas Library System (CALS) is located in the River Market District. The library offers an expansive area for children and teens and a public computer center with Internet access. Nationally acclaimed literary figures and other speakers are featured throughout the year at special events and during the Arkansas Literary Festival. Also on the Main Library’s campus are the Cox Creative Center, which houses River Market Books & Gifts, the library’s used book store, and Bookends Café, the Arkansas Studies Institute building, which houses art galleries and a research room dedicated to the study of Arkansas; and the CALS Ron Robinson Theater, a state-of-the-art movie theater with films, music performances, children’s activities and speakers. The Main Library is open 9 a.m.-8 p.m. Monday-Thursday, 9 a.m.-6 p.m. Friday-Saturday and 1-5 p.m. Sunday. Check CALS.org for other department and branch hours. Heifer Village, on the Heifer International Campus in downtown Little Rock, introduces visitors to the possibility of a world free of hunger and poverty. Heifer Village is home to hands-on and interactive exhibits that provide a stimulating educational experience for families and adults. 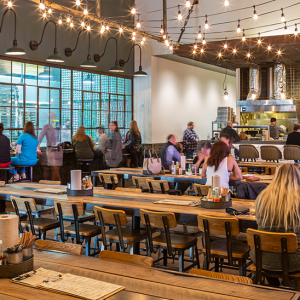 Visitors can take a tour of Heifer’s LEED-certified headquarters, enjoy a meal at Cafe@Heifer or visit Shop@Heifer for unique Earth- and artisan-friendly souvenirs. Heifer Village offers free on-site parking and is within walking distance of the Clinton Library and downtown attractions. Open 9 a.m.-5 p.m. Monday-Saturday. The Hillary Rodham Clinton Children’s Library & Learning Center is a vibrant, happy place that generates programs geared toward preschool, elementary and middle school students featuring the library’s teaching kitchen, theater, greenhouse and teaching garden. Visit www.CALS.org for a complete calendar of programs and events. 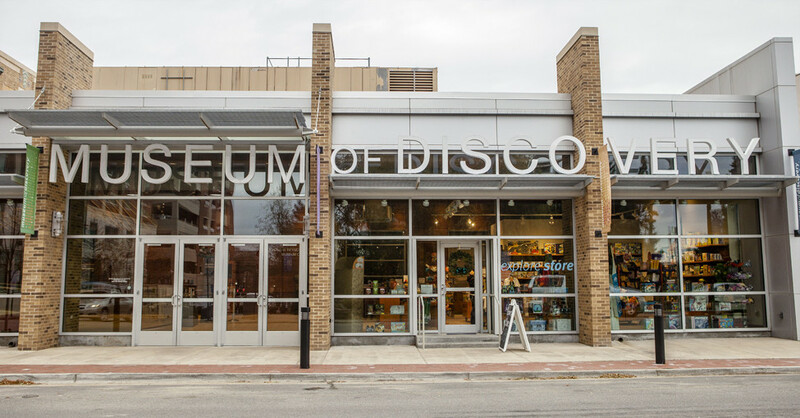 Located in the River Market District, the museum offers hands-on exhibits for the entire family. Visitors can explore the wonders of nature, science, technology and history in an interactive, educational environment. Group rates are available for camp-ins, birthday parties and rentals. Admission is $10 for adults and $8 for ages 12 and under. Free for children under 1. Open 9 a.m.-5 p.m. Tuesday-Saturday and 1-5 p.m. Sunday. Open on Monday holidays and summer. Altitude Trampoline Park has 20,000 square feet of interconnected trampolines in their 35,000 square foot facility. Great family fun and high energy entertainment for the whole family. Open 10 a.m.-9 p.m. Monday-Thursday, 10 a.m.-10 p.m. Friday, 9 a.m.-10 p.m. Saturday and noon-8 p.m. Sunday. Arkansas Skatium in west Little Rock offers roller skating and ice skating, parties (public and private), group events, and a snack bar. Open Monday through Friday for school groups from 9:30 am up to 3:30 pm. Reservations must be made in advance. Jump!Zone is an indoor party and play center featuring large inflatables, interactive games and toddler activities. There are moonwalks, bouncers, obstacle courses, giant slides and other interactive games. Food is also available. Admission is $8 for children, parents and children under 2 get in free with one paid admission. Open 9 a.m.-5 p.m. Monday-Friday. The Wonder Place is a creative playspace for children age 0-8. It isn’t simply a destination, but a place that encourages children to wonder and explore. They have a variety of imagination stations, including a treehouse, water-table, infant/toddler area and more. The toystore is filled with mind-stimulating and creative toys. Open 9 a.m.-5 p.m. Monday-Saturday. Historic mansion beckons you to come try to beat the clock and escape in 60 minutes. Will you find the gold? Check out the website and reviews. Open by reservation on website. Editor’s Note: Eight of the following courses are located in Hot Springs Village, which is home to some of Arkansas’ best golf. These courses are about a one-hour drive from Little Rock. Balboa is the longest course. Fairways, tees and roughs are Common and Bermuda grass, and the greens are a blend of Penn Cross and Crenshaw Bent grass. If you like fast, well-maintained greens and walker-friendly, this is your course. One of the best public courses in the state, Burns Park offers two 18-hole layouts, a driving range, a clubhouse and a golf shop. The championship course is the longer of the two courses at par 71. The shorter par-70 tournament course is perfect for beginners and features a combination of hills, doglegs and nine lakes. Open 7 a.m.-7 p.m. daily. Coronado is the only executive-length par 62 course with no sand in The Village. It is walker-friendly and perfect for a quick round of golf. With its great elevation changes, Cortez is known as the shot-making course in The Village. It demands that players hit the landing areas. It has Hybrid Bermuda in the fairway, tees and roughs and Crenshaw Bent Grass greens. DeSoto’s front nine is majestic in the spring with flowering cherry trees and azaleas. Some noteworthy holes are No. 6 Par 5 and No. 7 Par 4 and No. 14 known as the wedding cake hole. If you like Bermuda greens and some challenge, this course is for you. Granada is known for its scenic views and rolling hills although it does not lack in challenging holes. The last hole No. 18 Par 4 is Granada signature hole with a meandering waterfall that stretches the length of the fairway. Hindman Park is one of Little Rock’s most challenging courses. The 18-hole, par-72 course boasts a wooded setting with scenic vistas. Thanks to its natural setting, Hindman has been certified an Audubon Cooperative Sanctuary. Call for greens fees and tee times. Isabella has 27 holes with three nine hole courses Nina, Pinta and Santa Maria. It is player friendly and has wide fairways with challenging elevated greens. Pinta No. 9 Par 4 has an incredible view of the fairway with the clubhouse behind the green. Magellan is a short course. The fairways can be placement shots with Bermuda elevated greens. It has a great practice area complete with driving range, sand trap and chipping and putting green. Ponce is known for being long, narrow and hilly. Ponce’s finishing hole is a Par 4 with rolling hills, and the green is protected by 2 large sand traps. Rebsamen Golf Course is located along the Arkansas River, adjacent to Murray Park and five minutes from downtown Little Rock. It offers golfers a par-72, 18-hole championship course and a nine-hole executive course. Ask about weekend rates. Open 7 a.m.-7 p.m. daily. Located in the heart of Little Rock, War Memorial Golf Course features a fast-playing par-64, 18-hole golf course with reconstructed tees and greens. Open 7 a.m.-sunset daily. The Arkansas Inland Maritime Museum is home to two historic World War II vessels: the tugboat USS Hoga, which was in Pearl Harbor during the attack on December 7th, 1941, and USS Razorback, which was present in Tokyo Bay for the formal surrender of Japan in 1945. Hoga is a National Landmark and Razorback is the longest-serving submarine in the world. A guided tour of the submarine takes visitors through seven watertight compartments, where they see firsthand how submariners lived, slept and worked. Summer hours (Memorial Day to Labor Day): 10 a.m.-6 p.m. Wednesday-Saturday and 1-6 p.m. Sunday. Winter hours: 10 a.m.-6 p.m. Friday-Saturday and 1-6 p.m. Sunday. Note: November through March the museum closes at 4:30 p.m. The submarine tour is not recommended for children younger than 5. This facility salutes the state’s sports legends and the more than 400 inductees into the Arkansas Sports Hall of Fame since its formation in 1958. The museum gives a historical look at sports in Arkansas, focusing on football, baseball, basketball, tennis, golf and racing and the careers of Arkansas natives, including Cliff Lee, Mark Martin, Torii Hunter, Stacy Lewis, Scottie Pippin and John Daly. Open by appointment only. Call (501) 313-4158 to book. The Arkansas State Capitol is rich in history and craftsmanship. See lawmakers at work and enjoy exhibits on the people and events that have shaped the state. Schedule a guided tour or explore the building and landscaped grounds on your own (guides available at the first-floor visitor center). Don’t miss the grand bronze doors crafted by Tiffany & Company, as well as the monument to the Little Rock Nine on the north plaza. The Big Dam Bridge has a 14-foot wide deck that extends 3,463 feet across the Arkansas River. Amenities include the Capitol Gift Shop and a cafeteria serving breakfast and lunch on weekdays. In early December, the halls are decked for the holidays and choirs from around the state perform in the rotunda. Guided tours: 9 a.m.- 3 p.m. Monday-Friday. Self-guided tours: 8 a.m.- 5 p.m.; 10 a.m.-3 p.m. on weekends and holidays. 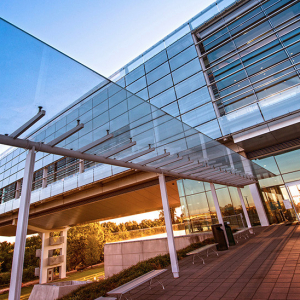 The Clinton Center is a world-class educational and cultural venue offering a variety of special events, exhibitions, educational programs and lectures throughout the year. Most importantly, the Center is a reflection of the work—past, present and future—of the 42nd President of the United States. Open 9 a.m.-5 p.m. Monday-Saturday and 1-5 p.m. Sunday. Explore seven galleries featuring historical exhibits, contemporary Arkansas-made exhibitions by Arkansas artists and an and interactive children’s gallery. Permanent exhibits: Arkansas Made Gallery, We Walk in Two Worlds: The Caddo, Osage and Quapaw in Arkansas and The Knife Gallery: American Bladesmith Society Hall of Fame. Parking and admission to the galleries are free. Explore a pre-Civil War neighborhood including the Hinderliter Grog Shop, c.1827, the oldest surviving structure in Little Rock, as well as an 1850s farmstead. Guests can encounter living historians portraying residents of the neighborhood every day on the historic grounds. Guided tours of the grounds are available on Monday and Tuesday or guests can explore the grounds at their own pace on self-guided tours Wednesday through Sunday. Join us for 2nd Friday Art Night from 5-8 p.m. for new exhibit openings, live music and free refreshments. Unique Arkansas-made gifts are available in the Museum Store. Admission to the grounds is $2.50 for adults, $1 for children under 18, $1.50 for senior citizens (free admission on the first Sunday of each month). Open 9 a.m.-5 p.m. Monday-Saturday and 1-5 p.m. Sunday. In September 1957, Central High School became a battleground in the struggle for civil rights and integration when the Little Rock Nine enrolled at the formerly all-white high school. At the National Park Service Visitor Center, located diagonally across from the school campus, visitors can explore exhibits describing the desegregation events that divided the nation. Still in operation by the Little Rock School District, Central High School itself is not open to visitors unless they are on a free ranger-led guided tour, available by advance reservation. Visitors may take self-guided walks along Park Street to view and photograph Central High’s architecture. Visitor Center with films and exhibits open 9 a.m.-4:30 p.m. daily (except on Thanksgiving Day, Christmas Day and New Year’s Day). One-hour guided walking tours of Central’s interior are by reservation, Monday-Friday, at 9 a.m. and 1 p.m. Central High is still a public school and is not open to the general public except by NPS guided tours. Listed on the National Register of Historic Places, Mount Holly Cemetery is the final resting place of Pulitzer Prize-winning poet John Gould Fletcher and executed Confederate spy David O. Dodd, as well as five Confederate generals, 10 former Arkansas governors and six U.S. senators. The earliest birth-date recorded is that of Peter LeFevre, born in Canada in 1750. Open daily. Located in North Little Rock, this re-creation of a water-powered gristmill is known for being in the opening shots of Gone With the Wind and is a hot spot for seasonal photographs and portraits. Free admission. Open 6 a.m.-30 minutes after sunset. Arkansas starts here. Already under construction when Arkansas became a state in 1836, the Old State House represents 179 years of Arkansas history. 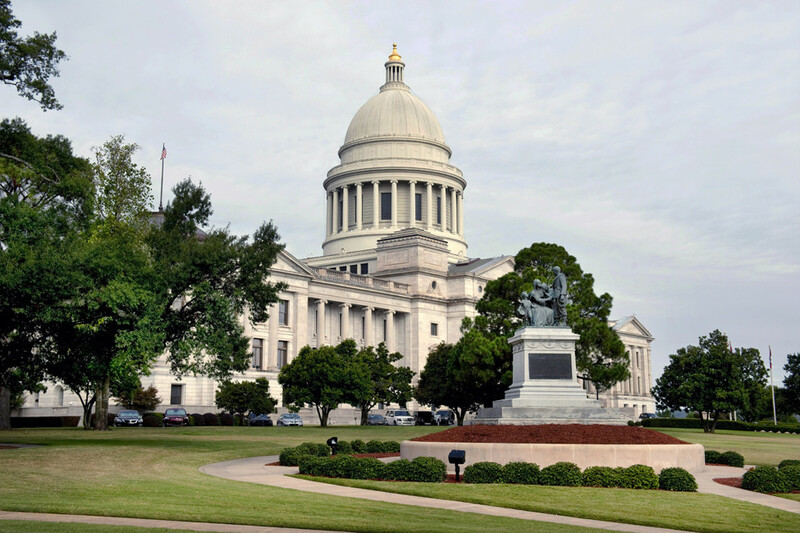 It served as the state capitol until 1911 and is a National Historic Landmark. The building is now home to a museum highlighting the fascinating history of Arkansas. Featured exhibits include True Faith, True Light: The Devotional Art of Ed Stilley,” which demonstrates how one man’s devotion can result in profound works of art, and “Cabinet of Curiosities: Treasures from the University of Arkansas Museum Collection,” an exclusive look at an extensive collection that has been closed to the public for over a decade. Admission is free. Open 9 a.m.-5 p.m. Monday-Saturday and 1-5 p.m. Sunday. The museum is open 9 a.m.-5 p.m. Monday-Friday, for field trips and tours, but they must be scheduled in advance. • • • • The Arkansas River Trail is a 17-mile loop of road and paved trail that runs from Riverfront Park in downtown Little Rock to the Big Dam Bridge in west Little Rock, where it traverses the river to North Little Rock, passing key landmarks and breathtaking scenery and wildlife along the way. The trail is accessible from both sides of the river and almost anywhere along the route. 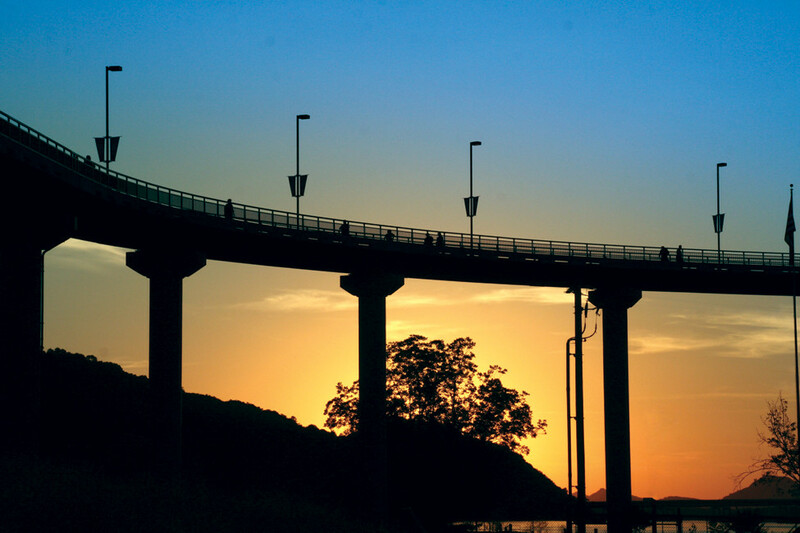 Two new bridges are also part of the trail, adding even more adventure and convenience - the Two Rivers Park Bridge in west Little Rock and the Clinton Presidential Park Bridge, or Rock Island Bridge, near the William J. Clinton Presidential Center. Open daily. With 1,700 acres, Burns Park is one of the largest city-owned parks in the country. The park boasts ballfields, hiking trails, an amusement park, a BMX bike track, two party pavilions, two disc golf courses, playgrounds, soccer fields and an overnight RV campground. There are also picnic areas, a tennis and racquetball complex and a golf course. Open daily. Your home away from home at one of America's most unique RV parks. It is the only RV park located on the bank of the Arkansas River in downtown. The park can accommodate 61 RVs with water, 50 amp electricity and sewer. 24-hour on-site manager in a gated park with free Wi-Fi. Open 8:30 a.m.-6 p.m. in summer and 8:30 a.m.-5:30 p.m. in winter. Garvan Woodland Gardens, the University of Arkansas’ 210-acre botanical garden, offers over 5 miles of serene walking and hiking trails, and a Children’s Adventure Garden, all with breathtaking views of Lake Hamilton. The Asian garden is ranked as the fifth-best in North America, and spectacular Anthony Chapel—site of hundreds of weddings and concerts each year—is a must-see. View brilliant blooms year round and the 4.5-million Holiday Lights display mid-November-December. Open 9 a.m.-6 p.m. daily and noon-9 p.m. Mid-November-December 31st. Closed Thanksgiving, Christmas days and January. On the north side of the Arkansas River, this nearly 3.5-acre park offers picturesque views, lighted walkways and a jogging trail. Families will enjoy the many picnic sites and open play areas. The park is the site for festivals as well. Call for information. Hike the park trails for views of the Arkansas River, and stop by the visitor center for interactive displays on Arkansas’ natural wonders. A playground and Kingfisher Trail will tempt those with young children who can’t make the steeper hike. On Wednesdays and Thursdays, park interpreters give guided hikes and wildlife presentations. Open 6:30 a.m.-one hour after sunset year-round; Visitor center open 8 a.m.-5 p.m. daily except closed Christmas Day, New Year’s Day and Thanksgiving; closes at noon on Christmas Eve. About 20 minutes from North Little Rock, the museum interprets the history of cotton agriculture from 1836 to WWII through exhibits and programs. Walk through the 1912 main museum, the Dortch Gin Building and the Seed Warehouse No. 5. Open 8 a.m.-5 p.m. Tuesday-Saturday and 1-5 p.m. Sunday. Arkansas’ tallest remaining prehistoric American Indian mounds are preserved at this National Historic Landmark site 20 miles outside Little Rock. The mounds and an earthen embankment are the remains of a ceremonial and governmental complex inhabited from A.D. 600–A.D. 1050.Open 8 a.m.-5 p.m. Tuesday-Saturday and 1-5 p.m. Sunday. Wildwood Park for the Arts is home to Little Rock’s unique botanical gardens situated on a lovely 105 acres with pavilions, gardens and a 625-seat theater complex. Wildwood is anchored by park-wide festivals celebrating a diversity of arts. Events include the annual Wine & Food Festival, HARVEST! 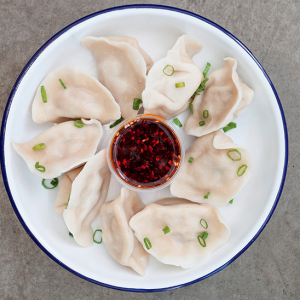 Festival in the fall and LANTERNS!, a mid-winter, nighttime festival featuring cultures from around the globe. Open free daily; admission is charged only on festival weekends. Open 9 a.m.-5 p.m. Monday-Friday, 10 a.m.-5 p.m. Saturday and noon-5 p.m. Sunday. The Arkansas Travelers are the Double-A affiliate of the Seattle Mariners. The team plays at Dickey-Stephens Park, which seats 10,000 people and features wide covered concourses, a large concession and local craft beer menu and a great view of Little Rock’s downtown skyline and new Broadway Bridge. Fun giveaway nights are scheduled throughout the season, which runs April through September. Open 70 Home games a season and 9 a.m.-5 p.m. Monday-Friday. Visit website for schedule. The Governor’s Mansion is a historic home located on 8 acres of landscaped grounds and gardens. Eleven governors and their families have called the Mansion home since it was opened in 1950, including Bill and Hillary Clinton. The house is listed on the National Register of Historic Places because they lived here for over 12 years. There is a Grand Hall attached to the house that is the setting for many official dinners and receptions. No weekend tours available. Tours set only at the availability of the Mansion. Call to schedule. Bobby’s Bike Hike offers bike service, tours and rentals of central Arkansas for a variety of interests, ages and fitness levels. Open 9 a.m.-8:30 p.m. Sunday-Friday and 8:30 a.m.-8:30 p.m. Saturday. Hours vary by season. METRO Streetcar is a fun, unique way to take in the downtown sights of central Arkansas’ “twin cities.” Spanning the beautiful Arkansas River, the system links some of the most vibrant destinations in Pulaski County, including the Clinton Presidential Center; North Little Rock’s historic Argenta district; the Little Rock River Market and Creative Corridor; and favorite restaurants, hotels, brewpubs, cultural attractions, shops and more. Streetcars run 8:20 a.m.-10 p.m. Monday-Wednesday, 8:20 a.m.-12 a.m. Thursday-Saturday, 11:40 a.m.-6:45 p.m. Sunday. Check RRMetro.org for schedules and maps. Download the free METROtrack app for real-time arrival information. Pulaski County’s public transit system. Check RRMetro.org for route maps and schedules. Download the free METROtrack app for real-time bus information. During the tour you’ll be taken through the whole process of making spirits—from grain to glass. See the aging whiskey casks and learn what makes bourbon, bourbon. Visit the still house where the solid copper potstill distills Arkansas corn, wheat and rye into liquid gold. Next, see the bottling room where bottling parties are held. The final stop is in the tasting room for samples of the award-winning local spirits. Open 7 days a week. Tour Hours: Monday-Friday tours at 2 p.m. and 4 p.m.; Saturday tours at 1:30 p.m., 3 p.m. and 4:30 p.m.; Sunday tours at 1:30 p.m. and 3 p.m.